How about those New Year’s Resolutions? Well you can put them aside for this dip. Twist your arm, right. Who can resist dip made with candy bars? I can’t. I am a dip queen. I can make a meal out of dips, but most of my dip recipes are savory. It’s about time to sweeten things up. The dip is made with tangy cream cheese, chopped Snickers, peanuts, and there’s melted milk chocolate and salted caramel swirled throughout. I’ve always loved Snickers and the dip is my new favorite way to eat them. 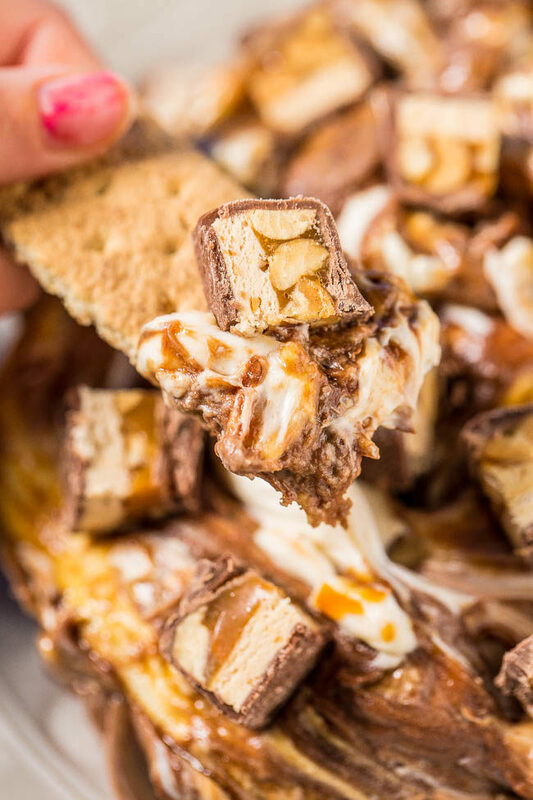 It’s dangerously fast and easy to make, ready in 10 minutes, and the texture contrast of the smooth cream cheese with the chewy Snickers, crunchy peanuts, and melted chocolate and caramel is just heavenly. It’s incredibly rich and filling and perfect with graham crackers, Nilla wafers, Oreos, or really just a spoon. It’s a perfect party dip everyone will love. Who can resist dip made with candy bars? I can’t. 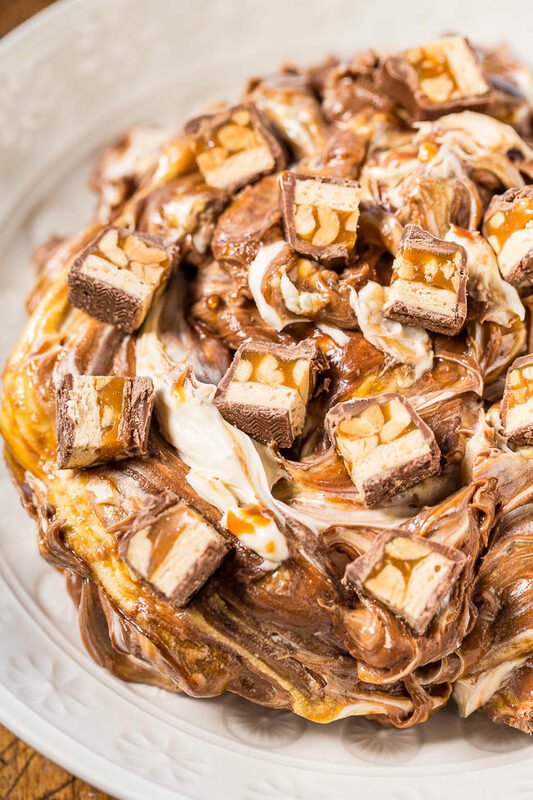 The dip is made with tangy cream cheese, chopped Snickers, peanuts, and there’s melted milk chocolate and salted caramel swirled throughout. 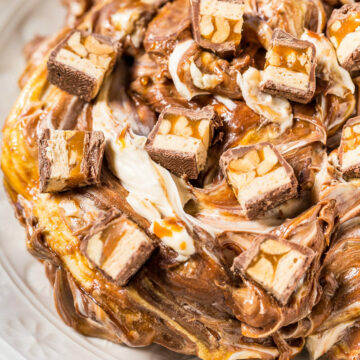 It’s dangerously fast and easy to make, ready in 10 minutes, and the texture contrast of the smooth cream cheese with the chewy Snickers, crunchy peanuts, and melted chocolate and caramel is just heavenly. It’s rich, incredibly filling, and perfect with graham crackers, Nilla wafers, Oreos, or really just a spoon. To a medium, microwave-safe bowl, add the chocolate and heat on high power to melt, about 1 minute. Stir until smooth and set aside to cool. To the bowl of a stand mixer fitted with the paddle attachment (or large mixing bowl and electric handheld mixer), add the cream cheese, confectioners’ sugar, and beat on medium-high speed until smooth and fluffy, about 2 to 3 minutes. Stop to scrape down the sides of the bowl as necessary. Add the vanilla and beat on medium-high speed to incorporate, about 30 seconds. Add the peanuts, 1 cup Snickers, optional salt, and stir in by hand. Add the cooled milk chocolate, caramel sauce, and fold to incorporate using a spatula. Don’t overmix because you want to see swirls of white, chocolate, and caramel. Turn dip out into a serving bowl, evenly sprinkle with about 3 tablespoons Snickers, and serve immediately with graham crackers, Nilla wafers, Oreos, etc. or your favorite dippers. Dip will keep airtight in the fridge for up to 5 days. 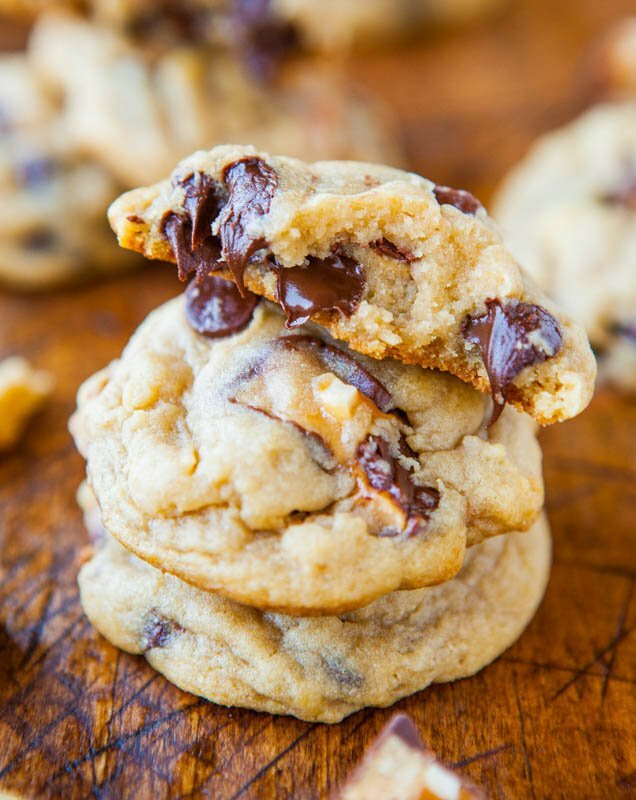 Soft and Chewy Snickers Chocolate Chip Cookies – Soft, chewy, buttery, and loaded with chocolate and Snickers! 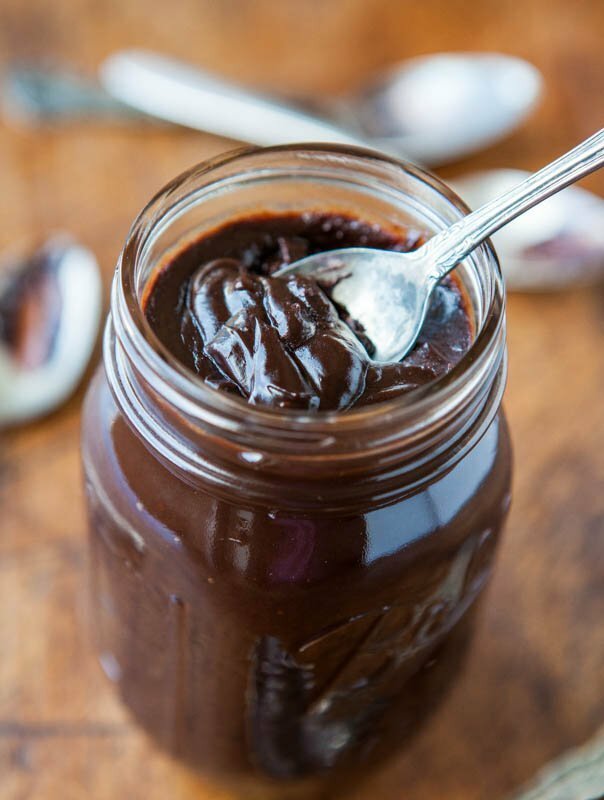 10-Minute Homemade Hot Fudge – So fast and easy and tastes amazing! You’ll wonder why you haven’t always been making it at home! 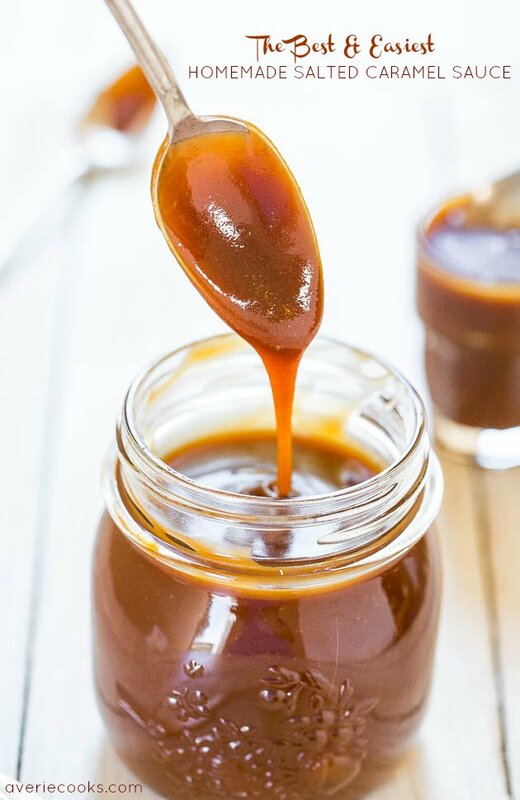 The Best and Easiest Homemade Salted Caramel Sauce – Ready in 15 minutes and tastes 1000x better than any storebought sauce ever could! This is some serious indulgence! I’d be in heaven with a spoon. Maybe it would seem a little less sinful if I ate it with apple slices? You will find me in a closet alone with this dip, happily eating away. Nobody needs to share with me! It looks SO GOOD. Snickers are definitely one of the best candy bars ever! At the end of some days, this dip or lots of wine just hit the spot! Oh, my GOSH! I like Paula’s idea of eating it with apple slices….but it definitely needs to be made and eaten ASAP! You don’t have to tell me twice to try this! This dip looks insanely good! Pinned! Um. I. Need. This. Now. I would inhale this like nobody’s business. And I’d enjoy every single minute!! I know you have a Snickers Dip too. We should both make ours and bring them to our next get-together. Ha! And I was doing so well avoiding the candy bar dip!! Consider my arm twisted and this recipe pinned for a special occasion. I could make a meal of dips too. And I could probably accidentally make a meal of this dip before realizing what I’ve done! This looks so addictive! Yum. Agreed, perfect around post-Halloween, post-Valentines, Easter, etc when there’s random candy! Oh my lordy, this looks yummy. This looks oh so yummy! So, first off, I CANNOT believe I never signed up to get your updates until now. WHAT THE HECK?? Secondly, my new year’s resolution is to wait until February to start mine. (that and accomplish a standing back flip by the end of the year) Thirdly, this is delicious, nay not only delicious, it is my new favorite dip. Move over cheesecake, we got a new sheriff in town. Seriously, can we be friends? I’ll even move for proximity sake… Just think about it :-) thanks for the share, now that I’ve adulted and signed up for updates, I might even really grow up and PIN your recipes. WHAAAT? Yeah. I’m feeling pretty good. Only a few days into 2016 I’m already becoming super mature. And if you do ever pin things, thanks in advance! I’d love it if you were close…someone else to donate things to. As I cannot eat 2 cakes, a 2 batches of cookies, a 6 person chicken dinner, etc. every week! I KNEW I was secretly a genius! You realize the problem is though, I donate my stuff to others because I don’t have enough time to run it all off. I think that would require round the clock sprints ….lol. but i’m still looking at relocating…. This looks delicious! Why do I feel like I would consume about ten candy bars in one sitting if I made this dip? I wouldn’t be able to stop eating it!! YUM! ‘Who can resist dip made with candy bars? I can’t.’ – Exactly! Wouldn’t missed it for the world. I don’t know if I should thank you or… :))) Great idea!